Using latest technology we can provide pain free endodontic treatments for you to achieve a healthy mouth. 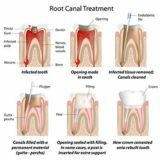 Root Canal Treatments can be a little uncomfortable, but we at Dental Sphere follow the latest techniques to make painful processes easier. The inflamed or infected pulp in the tooth is removed during root canal treatment and the inside portion of the tooth is carefully cleaned and disinfected. After this, the gap is filled and sealed with a rubber-like material called gutta-percha. 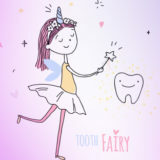 Then, the tooth is restored with a filling and a crown for its protection. How many sittings are required for a root canal? A. Root canal is a procedure in which the infected and severely damaged tooth is repaired. This happens when bacteria has reached the nerve of the tooth (pulp). 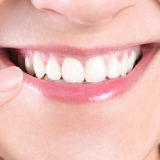 The procedure involves removing the infected tissue from the damaged area of the tooth (pulp), cleaning and disinfecting it, and filling it to avoid any further damage. A. When there is pain or swelling in the tooth, or the pulp is decayed, that’s when you need a root canal done. A. A root canal is done to get rid of the pain the damaged tooth causes. The root canal treatment is painless – a local anesthetic numbs the tooth and the surrounding areas so you don’t feel pain during the process. A. Normally, a root canal treatment can require single or multiple sittings. A. After the completion of the root canal, the dentist will place a restoration followed by a crown on your tooth. This will protect and strengthen your tooth.